The Enfocus Appstore is an online marketplace where you can instantly buy and use applications that extend your Switch flows and ultimately, your operations. Switch has a community of specialists including users, integrators and Channel Partners around the globe. Over the years, this community has grown, and knowledge is now shared in various mediums, including the Enfocus Forum and the Official Switch User LinkedIn Group. The Enfocus Appstore is an extension of our commitment to openness and collaboration with our customers and partners. 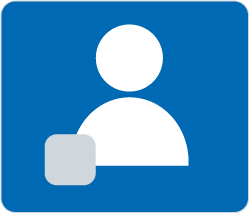 Use your Enfocus ID to sign in to Switch. Your Switch installation is now automatically recognized by the Enfocus Appstore. Once you're signed in, you can browse apps in the Enfocus Appstore or in the flow elements pane. If you see an app you want to use, start a free 30 day trial or buy a subscription. Once bought, all you need to do is drag and drop the app into your workflow. No Configurator module needed. *Please note that apps from the Enfocus Appstore will require Switch 13 update 1 or higher.